For shopping, for advice, for baby & you! The Baby & Toddler Show is THE event for your pregnancy, baby and toddler. With Peppa Pig live shows and meet & greets, a shopping extravaganza with over 200 brands offering show only specials and leading parenting experts including Pinky McKay, it’s a great day out for the whole family! 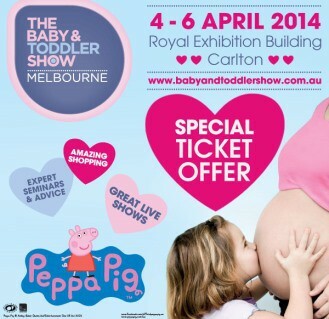 Go to www.babyandtoddlershow.com.au/kc for special KidsConfidential ticket price.